The state of a boat’s hull determines its flow through the water and therefore its speed and performance. Here at Dale Sailing, we can give expert advice and provide the most suitable treatment for your hull; whether you have a leisure craft, high performance racing yacht or a commercial vessel. • Osmosis treatments – Dale Sailing is a recognised International Coatings “Paint Application Centre” and our team are trained to offer full osmosis preventative osmosis treatments using International’s “Gelshield” system. As an International Coatings Paint Application Centre all materials and labour used in our osmosis treatments are covered by a guarantee. • Copper coat – the most durable and long lasting anti-foul currently available. Classified as non-leaching, this highly effective coating is a hard-wearing, densely copper filled resin that is kind to the environment. Correctly applied treatments resist weed and barnacle growth and can provide a high level of protection for a decade or more. 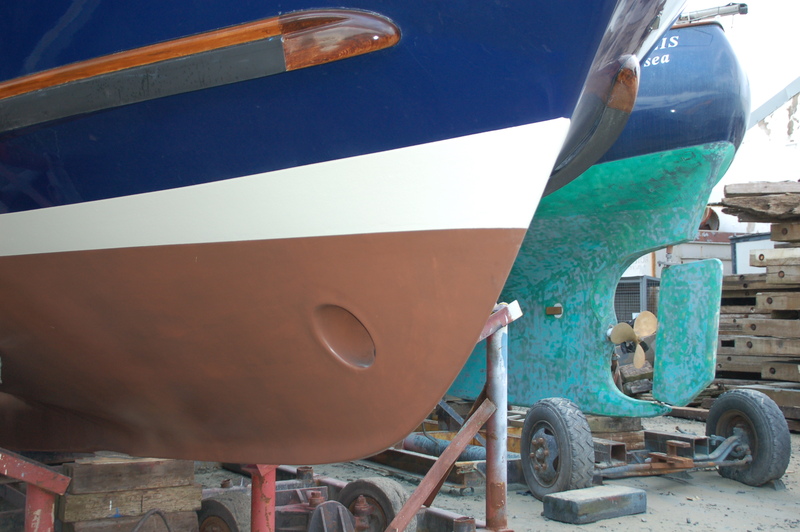 Coppercoat can be used on all surfaces including GRP, iron, steel, wood and aluminium.• Wet blasting – most often used for the removal of surface contamination or weed fouling, wet blasting consists of directing a high pressure fresh water jet at the surface of the hull. Ask our team for advice on the suitability of wet blasting, as the condition of the surface will determine the pressure of water that can be applied, and therefore the results that can be achieved by this method. • Dry blasting – our skilled team will sandblast the bottom of your boat to remove the top layer of gel coat and leave a perfect grit finish as an ideal anchor for topcoat paint adhesion. • Antifouling – here at Dale Sailing, we can provide any of the leading brands of antifouling products, and our experienced team can offer impartial advice on the best options for your boat.